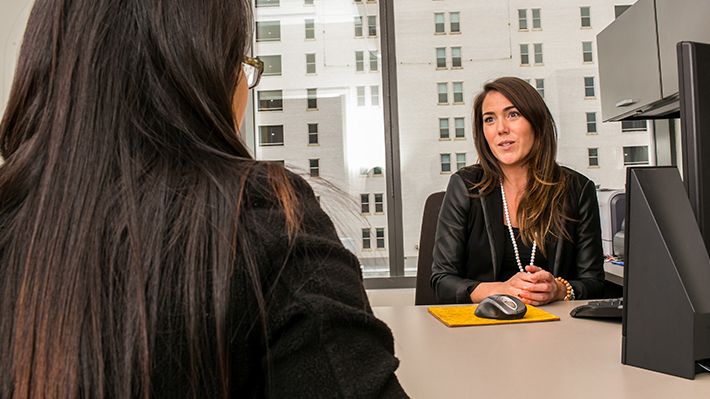 Our academic advisors are here to help guide you through your Drexel LeBow course of study. They are available to provide assistance with everything from registering for the right courses to evaluating study abroad opportunities, completing the correct forms and preparing for graduation and career. To speak to an advisor, students can either come during walk-in hours or schedule an appointment. Walk-in hours: Ideal for quick requests such as adding a minor or add/drop/withdraw from a course. Appointment: Appropriate for questions about creating an academic plan of study, evaluating study abroad opportunities and preparing for graduation. You can schedule an appointment with your academic advisor through DrexelOne under the Academics tab. You can also call 215.895.2110 or stop by our office on the third floor of Gerri C. LeBow Hall at 3220 Market St. to make an appointment. Our advisors will get to know you individually as you progress through your education. They will help you become skillful problem solvers and experienced decision makers well-positioned to emerge as the business leaders of the future. LeBow’s professional academic advisors assist students with a number of services including academic planning, registration assistance, form completion and transcript evaluation. Need help? LeBow offers a number of academic support services to help our scholars succeed along with University-wide resources to aid student success. All Drexel LeBow graduate students are required to adhere to the GPA requirement. You may also need to maintain a full-time or part-time status, depending on your program or financial aid package. Monday to Friday 8 a.m.-4:30 p.m.
Monday, Tuesday, Wednesday and Thursday: 10:00-11:30 a.m. Weeks 2-11: Monday to Friday 8 a.m.- 5 p.m.
Monday to Friday 10 a.m.-12 p.m.
LeBow was ranked eighth in the nation for providing the greatest opportunity for diverse students by Princeton Review. Thursday, May 2, 7:30 a.m.
Join the Drexel Business Solutions Institute for an AI panel discussion on how companies are using this technology to become leaders in their fields.